While there are many DIY projects that you can complete on your own, some projects are better handled by a professional contractor with the right tools and experience to get the job done right. Work on your HVAC system should always be completed by an experienced HVAC contractor with appropriate certifications. Work completed by a technician that is not certified could void any warranties on your equipment. Finding the right HVAC contractor with experience working on HVAC systems designed for manufactured homes or mobile homes can be a challenge. We have included tips to help find the right HVAC contractor to work on your home. When choosing an HVAC contractor for your manufactured home, search online for HVAC contractors using the terms manufactured home or mobile home to locate contractors who service manufactured homes. Look for contractors that service heating and air systems designed for manufactured homes. Your neighbor or property manager may be a right person to contact when searching for a reliable HVAC contractor. They may have used local contractors in the past and may be able to make recommendations that can save you time and money! Many mobile home dealers partner with HVAC contractors to provide service for their customers. 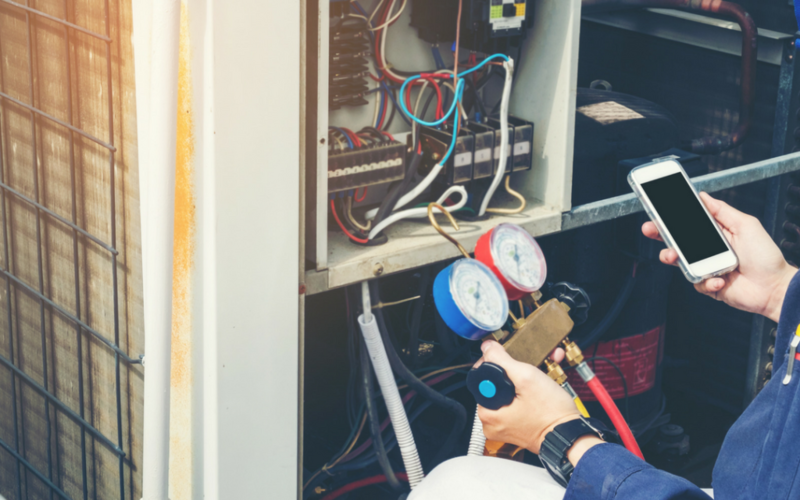 If you are in a newer home, you may consider contacting your mobile home dealer to see if they can recommend an HVAC contractor. Online Reviews can be beneficial to help you find and choose an HVAC contractor. Look for contractors with many positive customer reviews. You should also read the lower ratings to get an idea of the potential challenges you may have with a contractor. There are many factors to consider when trying to choose the right HVAC contractor. While the price may be an important consideration, it may not be the best way to select the best contractor to work on your home. Remember, the old saying “you get what you pay for” is correct. Review service guarantees, experience levels and reviews to help make your final determination.